TCAF is this weekend! Here’s a photo of some of the things I’ll have with me. If you live in or near Toronto you should come along. TCAF takes place at the Toronto Reference Library on Saturday the 5th and Sunday the 6th of May and it’s free to get in. I’ll be on the second floor. I’m going to bring my paper and glue as well so if you want a little collage made I can do that. See you there! 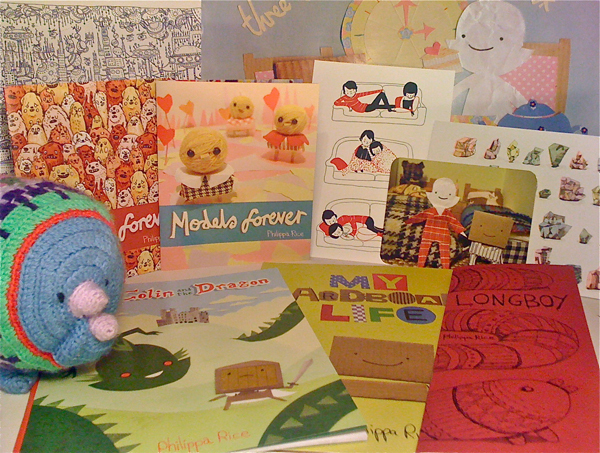 So much delightful swag – you’re going to bankrupt so many people!